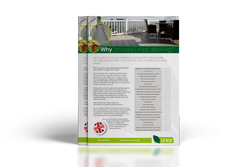 To give your caravan or holiday park the most stylish appearance, while also being certain of strength, safety and durability, look no further than Liniar’s uPVC decking range. 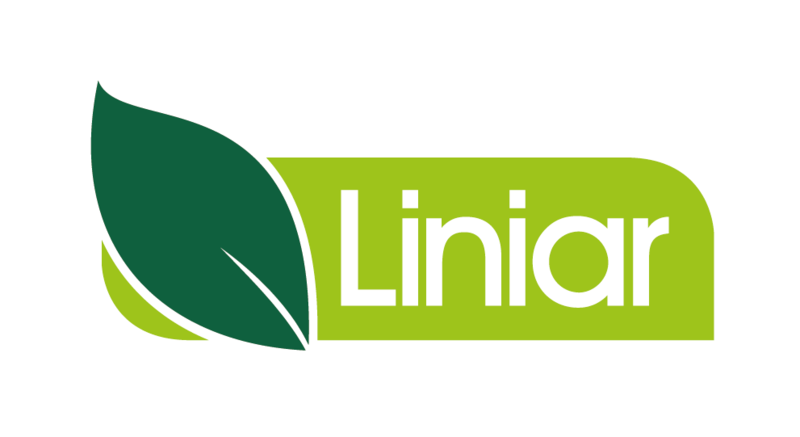 Designing and manufacturing decking systems for the caravan and holiday park market since 1999, Liniar produces the only range that’s created, modelled, tooled, manufactured, foiled, tested and stocked at its own purpose-built 180,000ft² facility in the heart of the UK. Offering the only fully sculptured balustrade system, together with a wide choice of accessories, the Liniar brand is synonymous with quality engineering, style and innovation. Continued investment in product design and development, facilities and machinery keep Liniar at the forefront of the very latest technology. You can be assured of a top quality product with Liniar’s unparalleled attention to design and engineering details. 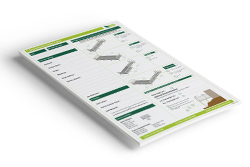 Made from lead-free window grade durable uPVC, Liniar decking has been load tested to 521 kg/m². 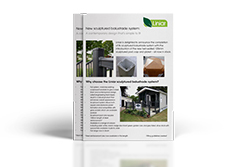 Liniar’s galvanised steel sub-frame creates the ideal base on which to build your uPVC deck. Each bottom rail is also supported by galvanised steel reinforcement, giving a strong and secure balustrade which offers more fire resistance than traditional materials – accredited with Class 1 Fire Safety. Plus there’s no timber to create a fire risk or to rot in damp conditions – giving your deck lasting durability. The balustrade range is available in a wide choice of colours and finishes, from plain white, cream or beige to factory-fitted foils – offering a traditional, woodgrain effect or a more contemporary, modern flat finish, depending upon your chosen requirements. Liniar ramps are built using the same strong and sturdy sub-frame and deckboards, so they will easily take the weight of a mobility scooter, allowing you to provide family friendly access to your holiday homes. 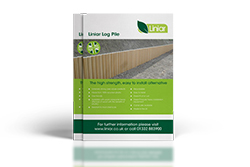 Liniar’s versatile range of plastic piling is the perfect solution for a variety of applications that could assist a holiday park’s day-to-day running. Whether it’s a retention requirement for a fishing lake, pond or a stream, or log pile for an attractive finish on a children’s play area, Liniar piling is sure to offer an answer. Designed by our in-house team and available in a choice of colours, Liniar’s deckboards offer a great level of durability and strength. Liniar deckboards are slightly domed in the centre to maximise drainage, have hidden drain holes and feature a tongue and groove design, eliminating the need for fiddly clips to fix them down and enabling faster fitting. As with the balustrade system, all fixings are hidden away for greater aesthetics and safety. 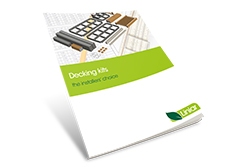 Liniar decking has been tested for slip resistance and wear – with an anti-slip surface making the boards safe in both wet and dry conditions. 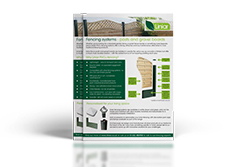 Our customers tell us Liniar offers the best designed and engineered balustrade system on the market. With a unique sculptured finish offering an ergonomic feel and attractive appearance, the Liniar balustrade system is available in six colours, including three foiled finishes, from stock. Alternative foil finishes are also available and made to order. With 125mm galvanised steel-reinforced posts and bottom rail for added strength, you can be assured your deck will be safe and secure for all of your customers. Liniar’s uPVC balustrade also offers more fire resistance than traditional materials. Unlike most competing decking systems, Liniar is the only range that’s designed, modelled, tooled, manufactured, foiled and stocked in the UK. Liniar’s system can be accessorised with glass pickets and panels, lights, vertical or horizontal skirting, matching steps, ramps, gates and storage boxes. 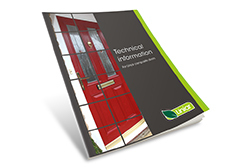 Liniar’s system is completely lead-free and uses recycled materials wherever possible, making it the environmentally friendly choice. 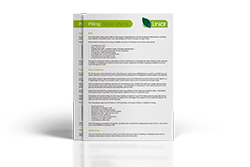 Designed by experts with great attention to detail, Liniar’s whole range is manufactured in its own UK extrusion facility to ISO 9001 quality standards. Innovation is our lifeblood and we will always continue to invest in new product development for the benefit of our customers. 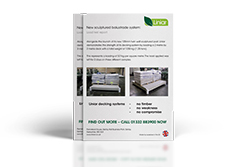 We can deliver to almost anywhere in the UK using Liniar’s own transport – and because most components are available from stock, lead times are kept low. Unlike timber, Liniar’s decking and balustrading is maintenance free. No sanding, staining or painting is necessary – when you feel the balustrade needs a clean, all that’s needed is warm soapy water and a soft cloth. Liniar’s decking system has been tested for strength by loading a 2m x 2m deck with a total weight of 1,250kg (1.25 tons). This represented a loading of 521kg per square metre, resulting in no signs of bowing, wear or strain. To add to the aesthetics of the Liniar decking system, there are no visible fixings – everything is designed to be hidden away. And even the caps and bracket mouldings are foiled for authenticity and quality. Your Liniar decking installation is uniquely designed to suit your holiday home. Liniar works with caravan and holiday parks to provide tailored solutions, whatever the plot or type of caravan, lodge or park home. 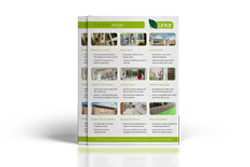 Consumer brochure covering the full Liniar range.